Ken Dryden was one of most talented National Hockey League (NHL) goalies. Today, he is also a best-selling sports literature author. Dryden displayed skill from a young age and was drafted in 1964 by the Montreal Canadiens. Focused on getting an education, he attended Cornell University in 1965. 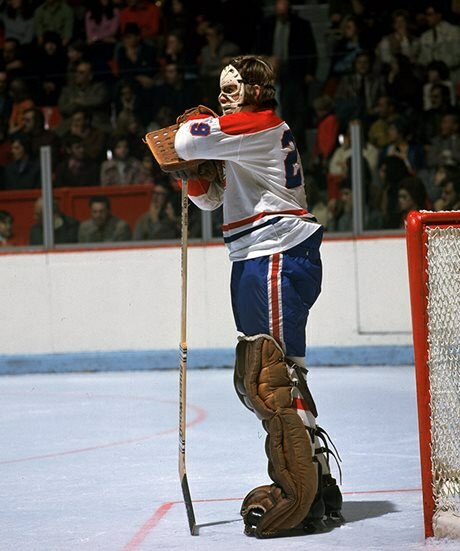 After he graduated, Dryden made his NHL debut with the Canadiens in 1970, playing in six winning games, which secured him a spot as a goalie for the playoffs. After winning six Stanley Cups, Dryden retired in 1979 to pursue a law degree. He also turned his attention to writing his most famous work The Game (1983), based on his own career with the Canadiens. This book has become a hockey classic. Other works include Face-Off at the Summit (1973), Home Game: Hockey Life in Canada (1990) and Becoming Canada (2010). Watch Dryden discuss his book The Game and his hockey career on the CBC Digital Archives. Listen to Dryden read a passage from The Game on the CBC Books website. Learn more about Dryden’s hockey career on the Montreal Canadiens website.